I’m about halfway through a light summer read—French economist Thomas Piketty’s Capital in the Twenty-First Century, which so far has been thoroughly accessible and engaging. Piketty’s surprise bestseller, which in 577 heavily footnoted pages analyzes centuries of data, is an important new assessment of economic growth, capital formation, wealth and income distribution. As you might expect from the title’s nod to Karl Marx’s Das Kapital, the book has been praised by liberals and attacked by conservatives, although it seems to me those who have nitpicked Piketty’s data are overlooking the forest for the trees. As Piketty says numerous times in the book, even if you disagree with the exact percentages, the trends are difficult to refute. Over time, the distribution of wealth has followed a U-shaped curve. From the start of the Industrial Revolution to the eve of World War 1, wealth and income inequality remained at consistently high levels. Then, between 1913 and 1970, due to the century’s political, social and economic cataclysms, both values declined to their lowest levels. But since 1980 they have risen again, according to Piketty to levels approaching those at the end of the 19th century. Whether inequality is good, bad or inconsequential remains to be seen, but I suspect Piketty will spend the second half of the book arguing that it’s bad. My appreciation of Piketty’s presentation has been enhanced by his use of literature to supplement his research, in particular Jane Austen’s Sense and Sensibility and Mansfield Park and Honoré de Balzac’s Père Goriot. There’s something reassuring about an economist who finds anecdotal evidence for his thesis in the humanities. 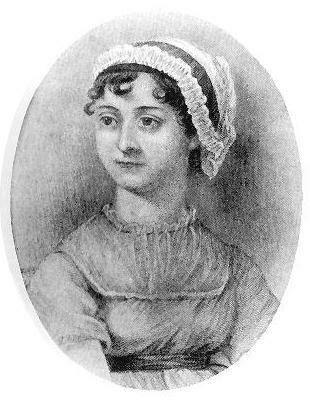 The point Piketty makes is that Austen and Balzac demonstrated an acute awareness of money—especially the amounts of wealth and income needed to be a person of means—that readers of the time would not fail to understand implicitly. Money does sometimes play an important role in modern novels, but in a way that probably strengthens Piketty’s argument. Think The Great Gatsby, where Gatsby’s wealth must be shown through the commodities consumed—shirts and cars and house size. And in more contemporary novels, money is often imbued with nebulous, shifting, post-modern meaning. Think JR by William Gaddis or Money by Martin Amis. Money becomes a concept, an illusion, that has little to do with defining social status and everything to do with gaming the system or the reader. 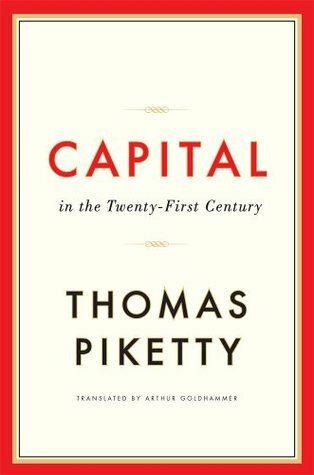 Piketty is not arguing for a return to the gold standard; he is simply making the point, in preparation for other more important points to come, that economic growth before World War 1 was slower, inflation was virtually non-existent, and investment income (the return on capital) grew faster than income from labor, thus enabling wealth and income inequality to remain high. It’s a situation he fears we are returning to, as most economic forecasts for developed nations indicate a slowdown in growth to rates approximating those of earlier centuries. It’s complicated stuff, and there’s much more to it than I have touched on here. Piketty does a fine job explaining his thesis, building a persuasive argument in clear, logical steps, but perhaps what we need is a new Austen or Balzac to show us what this rise in wealth and income inequality really means to society. Or is one already out there? If you think so, please let me know. Meanwhile, I may go back to the originals with newfound appreciation. Thanks on dwelling on this topic. I came across a comment by Piketty in some interview that he hasn’t read the Capital by Marx. 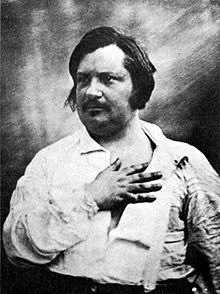 Curiously, Mark too referred to Balzac a number of times, to illustrate how the novelist was an acute observer of rising capitalism. I know of at least one book devoted to reading Balzac in this context (Balzac: Mirror of Emerging Modern Capitalism by an Indian economist, Girish Mishra). Thanks, Aquileana. You are too kind! You’re right, I rarely see mention of money and wealth in contemporary novels (or at least the novels I’ve been reading in the past few months). I hadn’t realized this until you pointed it out, how interesting. Well, it’s Professor Piketty who pointed it out. Interesting, isn’t it. Probably a subject worthy of a Ph.D thesis. In his discussion of inherited wealth vs. earned income, he uses Pere Goriot as an example, but just think how often that comes up in literature. Thanks for commenting, Letizia. BTW, if I had to chose between Switzerland and France in the match coming up, I think I’d root for Switzerland since they have never won it. I’d be happy with either outcome but it would be SO great if Switzerland won, especially as I will be visiting family there soon so could even be there for their next match! I had not noticed the lack of wealth in books, I am now going to look forward to Pere Goriot which I still haven’t got around too…I like your light reading, here was me enjoying Spot Goes to the Farm as my latest intellectual read. Oh, I don’t know about that. Spot could be looking at agrarian reform. I didn’t know that. It makes sense. Thanks for visiting.